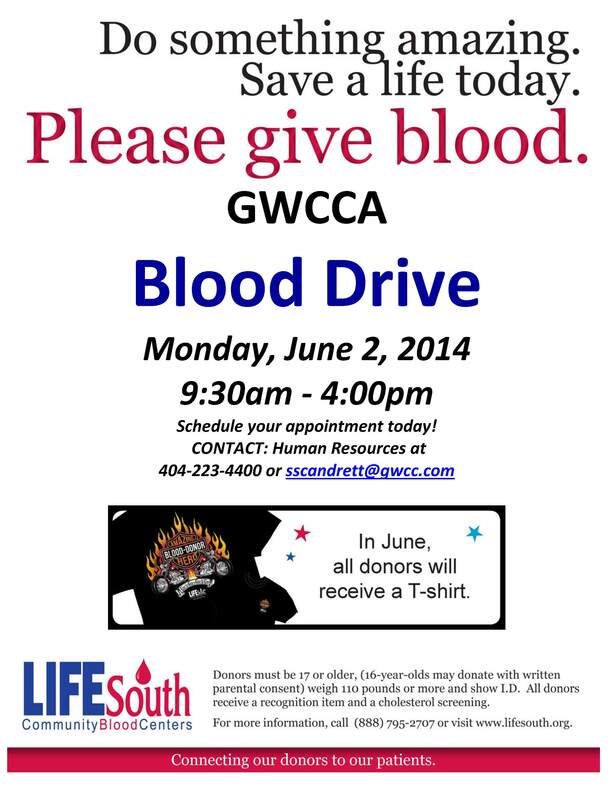 Schedule an appointment by calling GWCCA HR at 404-223-4400. The location of the blood mobile will be on International Blvd at the Starbucks patio from 9:30 AM – 4 PM. Walk-ups are welcome – but appointments served first. If you donate blood, be sure to stay hydrated by drinking plenty of fluids prior and bring your identification. Giving blood typically takes about 30 minutes, so please plan accordingly.